If one were to draw a list of the least appreciated wild flowers there are then this would be very much near the top. Whilst others might have some redeeming feature – an attractive flower or a medicinal use – this has none of that. It produces an extremely plain flower that resembles a tightly cropped head of brownish hair. Eventually it opens up to form a ball of fur until a fortuitous wind manages to blow away these strands that connected to the plant’s seeds. There is nothing that makes you take notice; nothing that catches the eye. Nothing until you start looking closer. Take the seeds, for instance. Each flower can hold well over one hundred seeds which is astounding when you consider how small it is. It also explains why such a recent find – the second part of its Latin name (Bonariensis) indicates that it was first discovered in Buenos Aires – has managed to colonise the world in half a millennium. This is a plant that has perfected the art of propagation and survival. One only has to consider the places where it grows to confirm this. Look at cracks in the pavement or in old buildings and the likelihood is that you will find it growing there. It needs no pampering and little in the form of food to grow. The part that is visible only tells half the story. As anyone irritated by the sight of this weed growing on the pavement will testify, getting rid of it is practically impossible. Try to pull it from the ground and it will snap, leaving the well-established root system firmly in place providing it with all that is needed to withstand the attack and regrow. 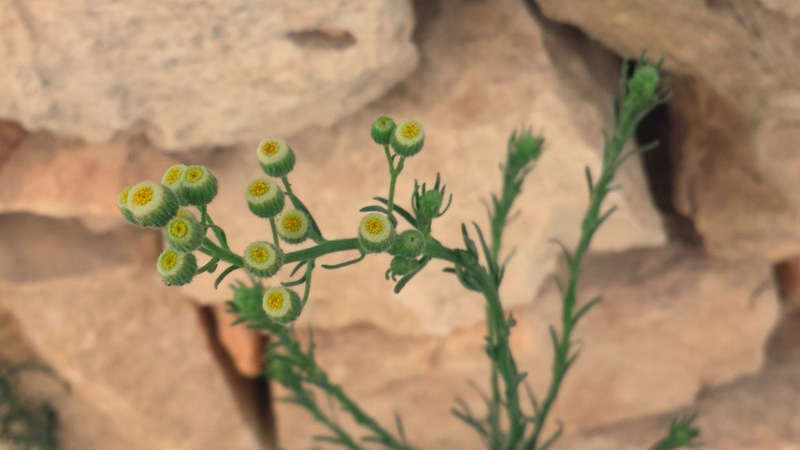 Famously, not even herbicide can touch the fleabane which was one of the first plants to evolve so that the poison that humans throw to get rid of it leaves little impact. It simply refuses to give in to an environment that wants it to go away. And if such determination, isn’t to be admired, what is? For more information on this plant, visit the respective entry in the online Malta wild-plants directory.